Have you got tired of seeing ‘contemporary’ looks in the houses around you? When everybody is going gaga over ‘modernist’ architecture, do you still want an old-world charm for your home? If you answered affirmatively to the above questions, then trim millworks can give your home that quaint look you always craved for. These details stand distinctly apart from the run-of-the-mill designs that can be seen in most homes. This is a common decorative element in many homes. It consists of an attractive partition between the walls and the ceilings of your house that adds a charming character to the entire room. You can have single strip of crown molding that gives an understated look. If, however, you want to grab much attention, then a larger molding would be perfect for you. Owing to the high cost of such installations, a DIY endeavor will go a long way in lowering your decorating expenses. Of course, a friend or a family member maybe also employed to make your task easier. Once the installations have been secured, you can be sure to have a room that exudes old-school grandeur. Placing mirrors in a room not only adds to its beauty, but also creates the visual illusion of space. A strategically placed mirror can add an edgy dimension to the entire room, and make it receptive to incoming light. There are a lot of designer mirrors available in the market. The ones with minimalist designs can be quite expensive. If you prefer an antique look in your house, however, you can build yourself a case molded mirror, affordably and efficiently. All you need are a few corner blocks, a factory produced mirror, a tough basing material, and the casing of your choice. With these materials in place, you can then commence the process of making your own mirror. There are even DIY kits available in the market, to help you create these beautiful mirrors. A wainscot would be a valuable addition to your room, with its layers of wooden panels. These installations can instantly add glamour to your rooms, and what’s more, you can make them on your own! Yes, you heard it right. Even though wainscots look complex, they are very achievable. 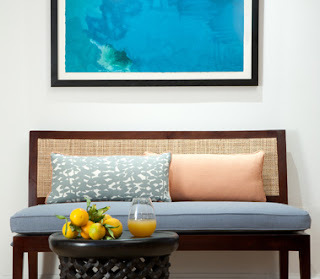 Although homeowners spend fortunes on wall frames, these décor elements are very DIY friendly. You can achieve such pieces by simply mixing and matching simple wooden or cement moldings to create beautiful profiles. You can get ideas for such designs from décor magazines, and then embark upon recreating such pieces manually. As you can see, trim installations can be made with your own hands, without getting the help of any carpenter or decorator. You just need a bit of patience and perseverance to create an old-world look in your home that you can be proud of.